One mini retractable cable for Data HotSync and battery charging via USB. X50/X51 will synchronise and charge. X50V/X51V will synchronise only. 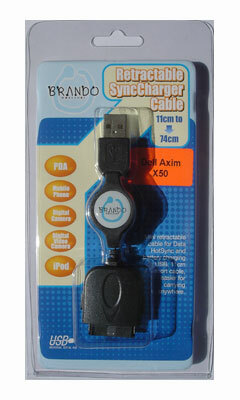 This 11cm short cable is suitable for carrying everywhere.